Statue of Father Junipero Serra stands at Mission San Antonio de Padua. Mission San Antonio de Padua sits within the "Valley of the Oaks" in Monterey County near the town of Jolon. 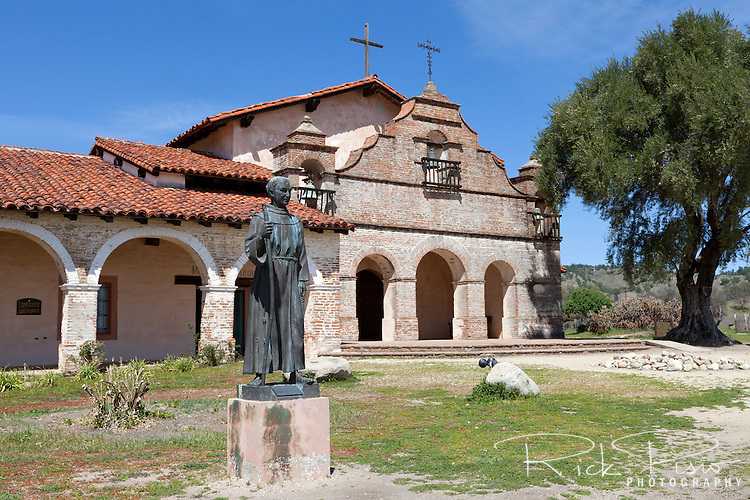 The mission was founded on July 14, 1771 by Father Junipero Serra and was the third mission in Alta California. Mission San Antonio de Padua is located on eighty pristine acres on what was once the Milpitas Unit of the Hearst Ranch and is today surrounded by the Army's Fort Hunter Ligget Military Reservation.